After days of effort, they had done all they could. Some of the systems that needed repair must be accessed through the outer hull, and the pressure outside was too great for divers. Other areas could only be opened in dry dock. They had done all they could. Their submarine and all aboard her were now in the hands of providence. They realized that above them, there was a desperate effort to find their sub in time, to save the lives of the forty men under Santiago Garcia’s command. It was his responsibility if they perished for he had led them to it as their Captain. He was the only one responsible and if they died, and he prayed that God would have mercy on all their souls. He walked the decks, greeted each man, whether he was on duty or in quarters. He had ordered as little physical activity as possible to preserve their dwindling oxygen supply, but he was the Captain. He owed it to his sailors to show courage and hope. Seven days ago, as they were approaching the ocean’s floor, sonar thought they had detected another object, possibly a shipwreck, but they were in the middle of an emergency, so it was ignored. Now they had plenty of time while contemplating death, but when one is awaiting the reaper, the mysteries of the sea are no longer compelling. His Executive Officer Lieutenant Mateo Silva was sitting on the floor of the forward torpedo room silently praying with the men at their stations. They nodded to each other. Some may have thought maintaining discipline under these circumstances was moot, but if not what, a panic? Men jumping into the escape hatch and trying to reach the surface far too far above them? No. They would live or die like men, not animals or frightened children. A sound. A sound from outside. What? Everyone sat up and even Garcia stared intently at the bulkhead where they had all heard the noise. “Current pushing some debris against the hull.” The Captain had to be pragmatic. Unless they had a better indication that rescuers had found them, there was little sense in giving false hope. The First Mate was no fool and he knew how to obey orders. If he thought it was important enough to waste air and power to call him on the comm, he was probably right. But what could it be? Santiago Garcia stopped in mid-sentence because Prieto was pointing to the battery power indicator. It was increasing. “Not only that, Captain, but the burned out wiring conduits have been restored, at least according to this.” Seaman Joaquin Soto was right but he was also describing the impossible. Those areas were only accessible in dry dock. How the hell could anyone, especially at this depth and pressure, be able to do all of this? It was no mistake and no mirage. Sounds of work were coming from all over the exterior and interior of the San Juan. It was as if the sea itself were showing divine mercy to his boat and his crew. Captain Garcia had been too long away from his prayers. He couldn’t clearly recall the last time he was at Mass or Confession. He silently swore by Jesus and the Holy Virgin that if his men were spared, he would forever devote himself to God. The submarine shuddered as if a giant hand were rocking it. 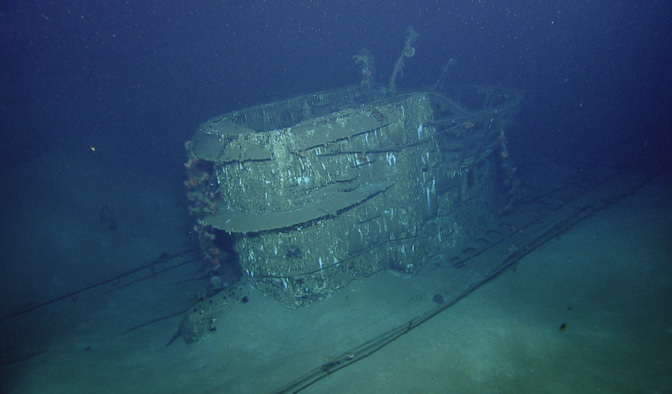 Without command or anyone at the controls, the ballast tanks purged their seawater and filled with air. The ARA San Juan was rising again from the ocean floor like a watery phoenix ascending from its own murky grave. As the submarine continued to rise, silent witnesses wished her farewell and safe journey. On 17 August 1945, the German submarine U-937 sank with all hands during a terrible storm. Their air supply lasted four days, but each man held to his post until the last, knowing they had been chosen for death by fate or God for their role in helping some of the most evil men in the Nazi regime escape justice. Now, over seventy years later, they were given a chance at redemption. 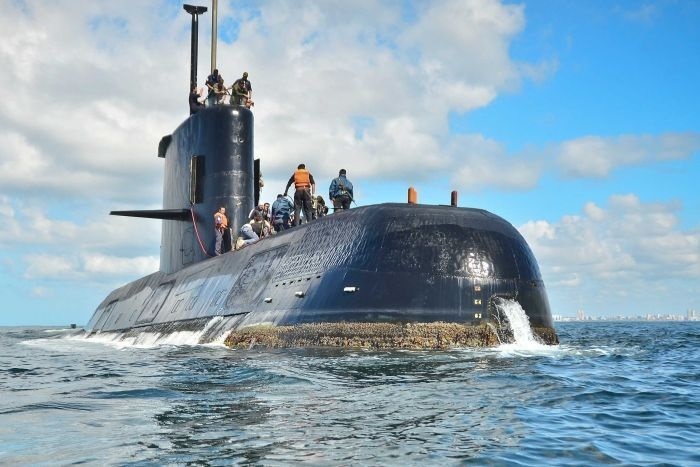 The dead of the U-937 repaired the all but lost Argentinian submarine, preventing her crew from sharing their miserable fate. The officers and seamen aboard her would live, and the forty-five German seamen who had become their saviors would now exchange God’s condemnation for His abundant mercy. This is a fantasy of course, and the officers and crew of the ARA San Juan are still missing and in desperate trouble. I wrote this as a matter of hope and may these men be rescued swiftly. What I hope, wish, and pray for may not come to past and if not, may God grant their souls and those of their loved ones mercy and comfort. I used the actual name of the missing submarine, but those of the officers and crew are fictional, as is the U-937.